Is it new development board by STMicroelectronics? No mention on st.com, but in System Workbench for STM32 AC6 (openstm32.org) added new choice - STM32F469I-DISCO. If you will search, you can find image of discovery and price on the digikey.com website too. Mouser offers this development board for $84.31. Other CAN analyzer with STM32, STM32F105. The device supports Low (10 kBaud - 125 kBaud) and High (10 kBaud- 1 MBaud) speed CAN. The project contains very nic PC program for showing data o the CAN bus. If you work with CAN or LIN bus, this device can be very helpful for you. The device is based on STM32F103 microcontroller. Bus data logging and replay. Amazon Dash Button is very popular so it was hacked. This button is used for ordering of something product from amazon. If you need e.g. soap powder, you will click on the button and the product will be send to your shopping cart. You approve this order and you will get the product. Computer Vision is very popular during a few years. You can find 20 projects with OpenCV and Raspberry Pi and sometimes Python on this website. OpenCV is distributed on other linux distribution and then, these projects can be running on e.g. Banana Pi, CubieBoard or other. A development board STM32F7 ,which is based on ARM? Cortex?-M7, is interesting for a lot of people. It proves this demo code for STM32F7 discovery by TARA Systems. Yes, this is a demostration their a graphical library and a GUI tools, but this demo code is very good. If you want to make smart home, maybe you will need this hardware. It's mini single-board computer. After Banana Pi - M3 is new version of ODROID XU4. Very small dimension, but very powerful. GPU is Mali-T628 MP6. Single-board computer contains 2GB LPDDR3 RAM and 1GB ethernet. ONDROID XU4 contains 2x USB 3.0 (Host) and 1x USB 2.0 (Host). 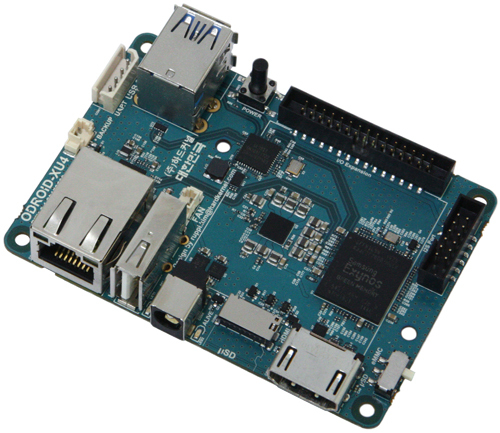 On the website was showed specification of Banana Pi M3. I remind that Banana Pi single-board computers are open-source hardware. BPI-M3 contains octa-core Cortex A7 processor, 2GB LPDRR3 SDRAM. GPU is PowerVR SGX544MP1. The board contains another buses like UART, I2C or SPI. It is here. STM32F746 has own discovery board. It's not funny. Really, single-bord computer costs $9. The website kickstarter.com shares project of single-board computer - CHIP (as Raspberry Pi) which costs $9. Doesn't have poor performance. 1GHz A13 ALLWINNER, 512MB RAM and 4GB NAND flash. And more one USB, WiFi 802.11b/g/n and Bluetooth 4.0. The processor embeds an ARM? Cortex?-A9 and Cortex-M4 microcontroller which makes the board compatible with the Arduino environment allowing high performance at a low price. After publication of Raspberry Pi 2 Microsoft wrote that its Windows 10 will be support this platform. Now, coming Windows 10 IoT which supports Raspberry Pi 2 (and MinnowBoard Max and Intel Galileo). And more, Microsoft posted a lot of sample programs with Windows 10 IoT with other IC. Blnking? No problem. And accelerometer. 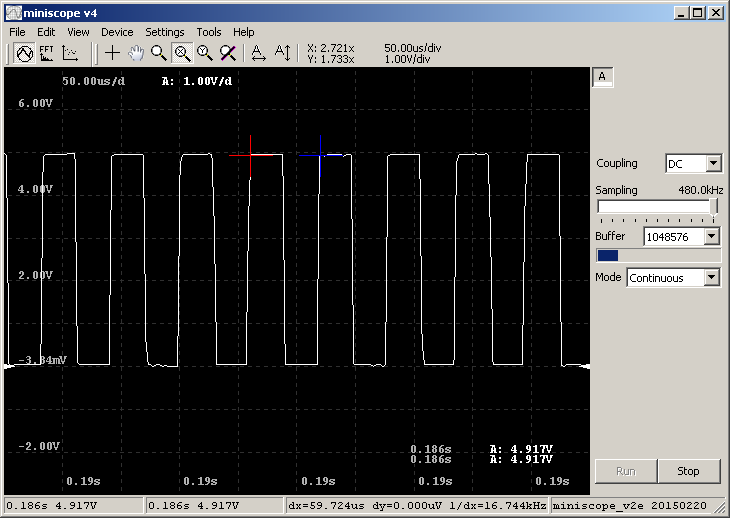 SPI and display. Or you can write own concole app. "The components found in the Visuino software represent their hardware components and you will easily be able to create and design your programs using drag and drop. No equipment or hardware is needed to run the software in design mode. 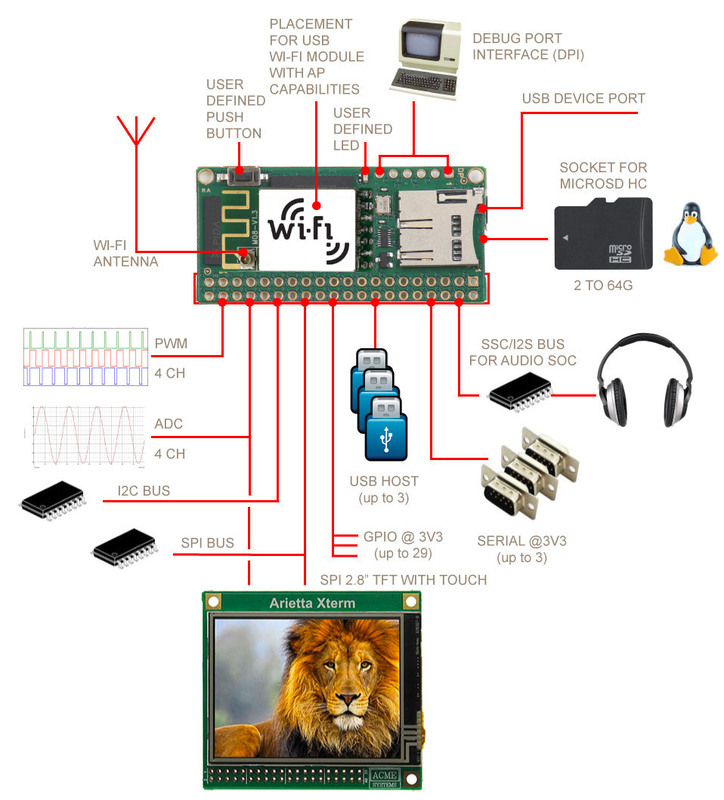 Once you have completed the design, you can connect Arduino board upload and run it. For those people who are not strong on writing code ..."
All processor manufacturers want low-power consumption or high performenace. Now, ST Microelectronics shows a new type of processor - STM32L476 which combines high performance and low-power consumption. This type of processor contains various peripherals. The website chiptron.cz, the first of all, owns this processor with development board Nucleo. You find photogalery and detailed description of STM32L476 and Nucleo development board. - Broadcom BCM2836 900MHz ARM Cortex-A7 Quad-core processor with VideoCore IV dual-core GPUGPU provides Open GL ES 2.0, hardware-accelerated OpenVG, and 1080p30 H.264 high-profile decode (6x performance). There are a new features of new version of Raspberry Pi 2 version B compared version Raspberry Pi 1 B and B+. I looked for some minimal operating system for Raspberry Pi. I found Minibian - it is minimal Raspbian. It is very minimal system which supports only terminal (I log in through SSH). SD card 512 MB is enough to running Minibian. Do you want to make GPS tracker. Look this project. It based on the MSP430F5510 (low power microcontroller by Texas Instruments - 25MHz, 32KB FLASH, 4KB SRAM, 3x DMA, I2C, SPI, UART, LIN, IrDA). The microcontroller receives valid data from GPS and it sends data to his server through HTTP request. The interval of tracking is 10 minutes.